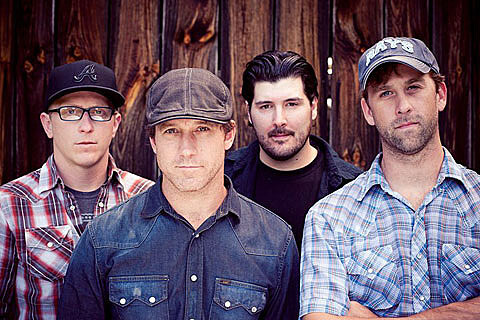 Hot Water Music, who have been reunited since 2008, are currently working on their first album since the reunion and since 2004’s The New What Next, and that album should be out this May via Rise Records. They only have a few shows scheduled in 2012, including SXSW, when they’ll play the free (donations encouraged) Shirts for a Cure 10th anniversary showcase at Red 7 on March 16 from 12-6 PM with a completely stacked 2-stage lineup including the also recently reunited Braid and the also recently reunited DYS, in addition to Darkest Hour, Comeback Kid, Coliseum, Anti-Flag, Tim Barry, and many more TBA. 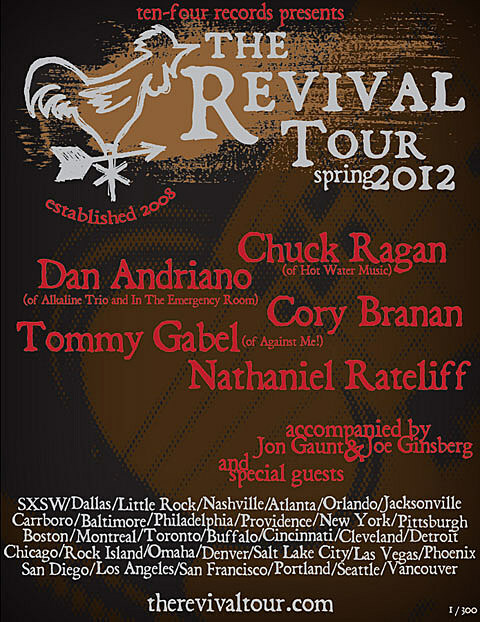 Hot Water Music frontman Chuck Ragan is kicking off The Revival Tour 2012 at SXSW too, which includes Dan Andriano (of Alkaline Trio), Tommy Gabel (of Against Me! ), Nathaniel Rateliff and Lucero-associate Cory Branan collaborating on stage in a traditional folk music fashion. The exact lineup and date for SXSW has not been announced yet (lineups differ slightly by show). 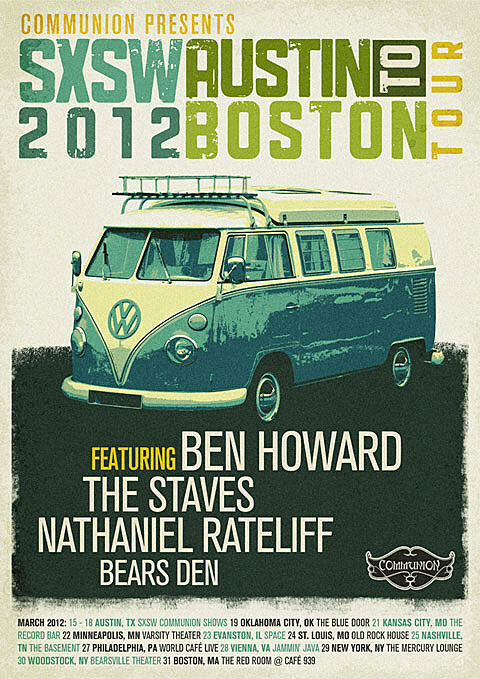 Nathaniel Rateliff will also play SXSW as part of the Communion-presented “Austin to Boston Tour” with Ben Howard, The Staves, and Bear’s Den. All Revival Tour and Austin to Boston Tour dates at BrooklynVegan. All Hot Water Music dates at BrooklynVegan. 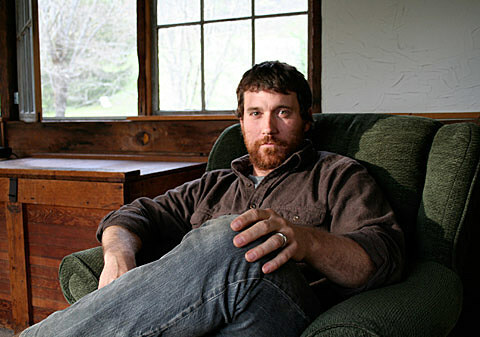 A new interview with Dave Smalley of DYS at BrooklynVegan. WASHINGTON D.C. – Shirts for a Cure, in association with Slip Booking and Traxion Control along with Munitio Earphones, Out of Time Clothing and MerchNOW, are very excited to announce a special free daytime SXSW showcase. 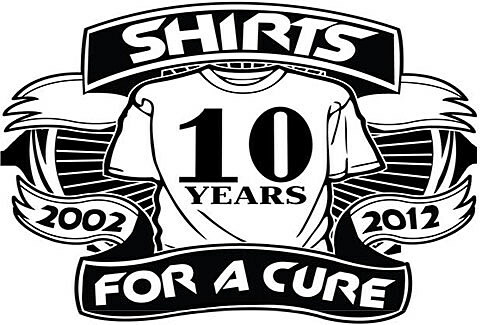 Come help us celebrate our 10th Anniversary while enjoying the musical styling’s of Hot Water Music, Braid, DYS, Darkest Hour, Comeback Kid, Coliseum, Anti-Flag, Tim Barry and so many more. This two stage free showcase will be held on Friday March 16th at Red 7 (611 East 7th Street, Austin, TX) with doors opening at high noon. Come early and plan to stay late.